How to take care of your Bridal Mehendi? How to take care of your bridal mehendi designs after applying? What to do when mehendi is removed? 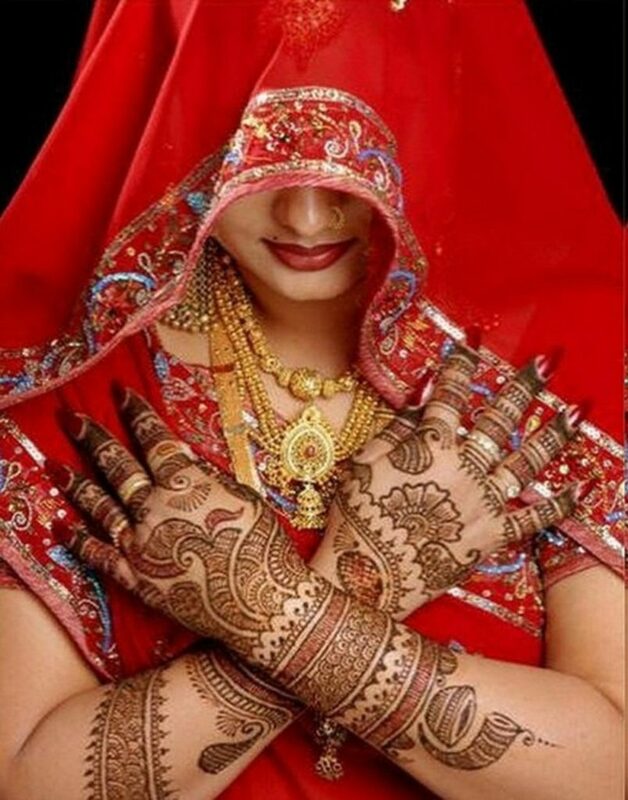 Care of your Bridal Mehendi: Most of the women always try to take care of the Mehendi before functions and weddings. It is because they just want to stand out from others. In many occasion, you can just see numerous Mehendi designs around you. But in those various Mehendi designs only some of the designs will stand out. It is just because of the maintenance. This is the reason why so many women’s often tend to maintain their Bridal Mehendi before functions. But most of the women don’t know what to take care and how to take care of your Bridal Mehendi. If you really want to know about how to take care of your Bridal Mehendi. Then here, I am going to say about how to take care of your Bridal Mehendi. Generally, when you think about the Mehendi designs. Contrary most of them believes that Mehendi has to be done on the day before of the event. But it is always best to do Mehendi works before 2-3 days. Mehendi generally reaches its high peak color for about 48 hours after removing the mehendi. If you are not yet familiar with this, then you can just try yourself to know more about the color. You should always try to take some time and do a trial run so that you can know about that yourself. If you want a bridal mehendi for your function and you are not familiar with the mehendi artist, then you can just do a trial design with them. By doing a trail run, you can see their efficiency, and you can know about their work and dedication. This helps to check the quality and the design of the artist, and also you can see the color of the mehendi. In generally most of the bridal mehendi artist do run a trail design, if they aren’t doing that, then you should be careful. If you are trying to stand out from others, then you should check these and take care of these points. Here are some tips to take care of your bridal mehendi to make you look attractive than others. Let’s see the necessary steps to get a good color. The color is usually the most important factor in mehendi. You have to take enough care about the mehendi design. Here You should always ask the bridal mehendi artist that they are mixing their own mehendi mixture or they are bringing any pre-made mehendi cones or pre-order cones. You should know about this because many of the pre-order and pre-made cones are typically filled with full of chemicals. So they can affect the color, and they can be very dicey in some cases it is not good for health as well it causes skin rashes. If you are a designer who is mixing their own mehendi mixture, and then you should know about the mix and also make sure you just follow their instructions to get good results. You should at least keep bridal mehendi paste for a minimum of 6-7 hours. If you give enough amount of time, then you can obviously get good results. If you do the bride’s mehendi in evening sessions or night sessions, then it is better to keep that mehendi whole night. You can wash it early in the morning this process give good results. For suppose if your timing is morning then you can take it off at evening or night. Adding a lemon and sugar solution is always useful. But always do remember that sugar and lemon solution should be applied only 2-3 times. Don’t ever do over then that because it might just kill the mehendi stain sometimes. So it is bad practices you should stay in minimum level only. If you want to take care of your bridal mehendi, then you should ask the artist some tips to stay better than others. If your artist is doing mehendi in the evening session, then you just wrap up the mehendi design in toilet paper usually like a mummy before going to sleep. In most of the cases, it is best to take the advice of the mehendi artist as well because they are in this field for many years they might say more cogent points. Usually, in good old days, there is a belief that mehendi should only be wrapped in plastic bags this is a widespread myth. But it is best to use toilet paper instead of the plastic bags. I think most of you don’t know about this process and don’t know why they use this process right? Wrapping up your hands and feet with a cover will protect your mehendi design, and it will secure the design, and it will not be a mess. If you wrap your hands and feet with a plastic bag, there will be no air circulation. And so that releases a lot of moisture which utterly destroys your design. So it is always best to wrap up your hands and feet with the toilet sheets or tissue papers. In this case, the air will be circulated, and so it makes the bride feel comfortable, and that design will not fall all over the sheets. Generally, the cold climate isn’t a suitable condition for the mehendi. If the bride gets cold quickly, then you should just take her to the warm area and ask her to sit there until the mehendi process is done. Mehendi usually brings the body temperature down, so it allows for a proper atmosphere. The warm conditions always help the mehendi to dry faster too. If there are in this cases there are very fewer changes in an accident happening and design spoiling. Here the more heat you give to your mehendi design the more darker it gets. If you kept it in cold condition only then, you can’t get good results, and you can’t even get the dark color. When you take off your mehendi, you should not wash your mehendi. You should just scrap it off other than washing. Once you scrap all the mehendi from your skin, you should start applying old and massage it gently over the mehendi design. The best and preferred oil for massaging is mustard oil because it is best in producing heat. By rubbing with the mustard oil, you can quickly remove all the stickiness of the lemon and sugar solution. You can wipe off that with the help of paper towel or hand towel. It is always best to keep the mehendi away from water for at least 2-3 hours it is minimum time you have to spend without using water. Don’t ever use water after scraping mehndi off. The palms get the darkest part of the mehendi design when you compare that with the arms and feet. Always use good quality mehendi powder and mixture, never use useless powders. If you get the cheap quality mixture, then all the above tips are also unnecessary. And in most of the cases, you won’t get any darker color, and you will never get optimum colors. So it is always best to hire a famous and popular artist who mixes their own mehendi and leads your bridal makeup to the other level. This is all about how to take care of your bridal mehendi design. I hope you all liked this topic if you want to know about it. Then you can let me know in comments so that I can publish more content on this particular subject. If you are having any queries in how to take care of your bridal mehendi. Then you can do let us know in comment section. Next Why is health insurance important for women?